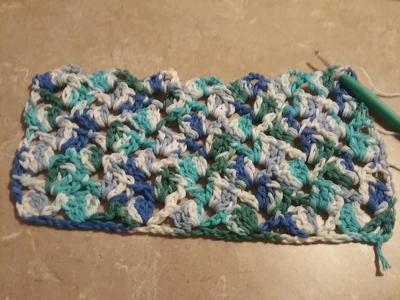 This is the completed dish cloth. Row 2 chain 3 ( this counts as first double crochet) double crochet into the chain 3 from the previous 3 times and chain 3 then double crochet into the same space. 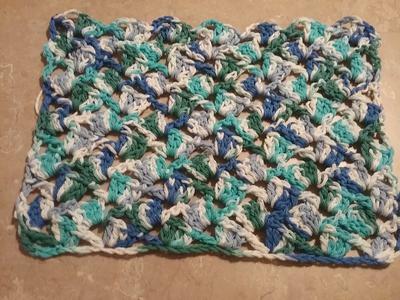 In the next chain 3 work space, work 4 double crochet. 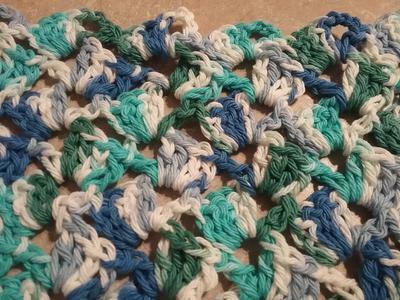 Chain 3 and double crochet into the same space * repeat from* to* end of row. Inspired by The Secret Yarnery.